Wedding photography is about telling the story of the day with images that have depth. What I mean here is images that have stories within stories. 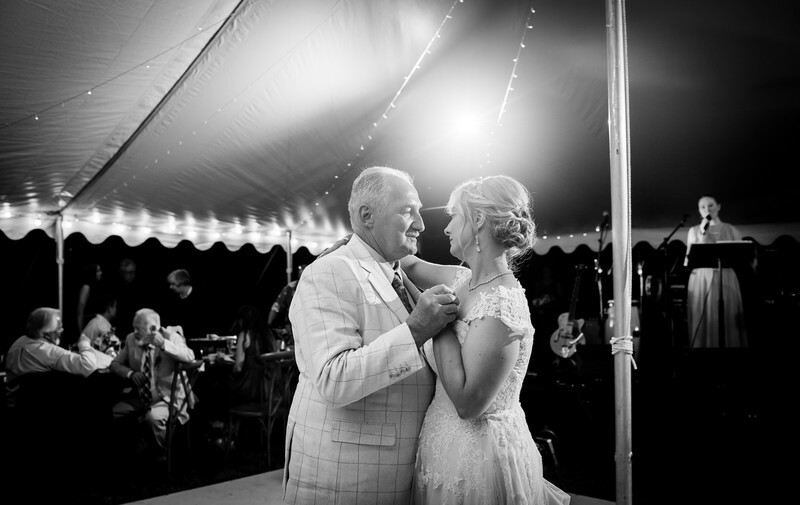 A father and daughter share a first dance together with her sister singing and grandfathers chatting in the distance. The initial draw is the father and daughter dance and their wonderful bond together. Then I noticed her sister looking on witnessing it all as she sings the very song they are dancing to. It is her expression that makes the image for me.